Though the term “Snowball Earth” was first coined in 1992 and the science behind the hypothesis had existed for decades, now for the first time scientists have geologic proof showing just how fast sea levels rose following the Neoproterozoic Snowball Earth era as the planet thawed. “The Snowball Earth hypothesis states that the Earth was covered with ice about 635 million years ago,” said Dr. Ryan Ewing, professor in the Department of Geology and Geophysics in the College of Geosciences at Texas A&M University, who traveled with a team of researchers to South Australia in July of 2014 for this study. To answer that question, a research team comprised of Ewing, Dr. Paul M. Myrow, professor in the Department of Geology at Colorado College, and Dr. Michael P. Lamb, Division of Geological and Planetary Sciences, California Institute of Technology, studied rocks in the Elatina Formation in South Australia. Their resulting research, “Rapid sea level rise in the aftermath of a Neoproterozoic Snowball Earth,” was published in Science today. Funded by the National Science Foundation, the project team successfully investigated and analyzed the first geologic evidence of sea-level-rise rates following the Neoproterozoic Snowball Earth. Ewing and the team used paleohydraulic analysis of wave ripples and tidal laminae to investigate rocks in the Elatina Formation, which were deposited at the end of the Marinoan glaciation 635 million years ago. The team investigated and measured the rock formation in Australia, and completed the calculations and analysis upon return to the U.S.
To calculate the rate of sea-level rise, the team used the size of the ripples to estimate the size of the waves and, in turn, water depths. The team found that the ripples remained about the same size throughout the formation, which meant that water depths remained relatively constant during deposition. “These rocks were deposited during the deglaciation and are unique because they record daily tidal cycles, meaning that they have preserved sedimentation from incoming and outgoing tides,” Ewing said. Those layers of sedimentation provided a time-scale for the team’s analysis, showing that the calculated water depths of 9-16 meters remained nearly constant for about 100 years, throughout 27 meters of sediment accumulation. “To accommodate that much sediment accumulating over a short amount of time — about 27 meters of sediment accumulation over 100 years — that requires a rate of sea-level rise of about one foot per year,” he said. The team’s proof of “extraordinarily rapid rate of sea-level rise,” as their publication states, validates a major tenant of the Snowball Earth hypothesis: that rapid deglaciation occurred during the early transition to a super-greenhouse climate. 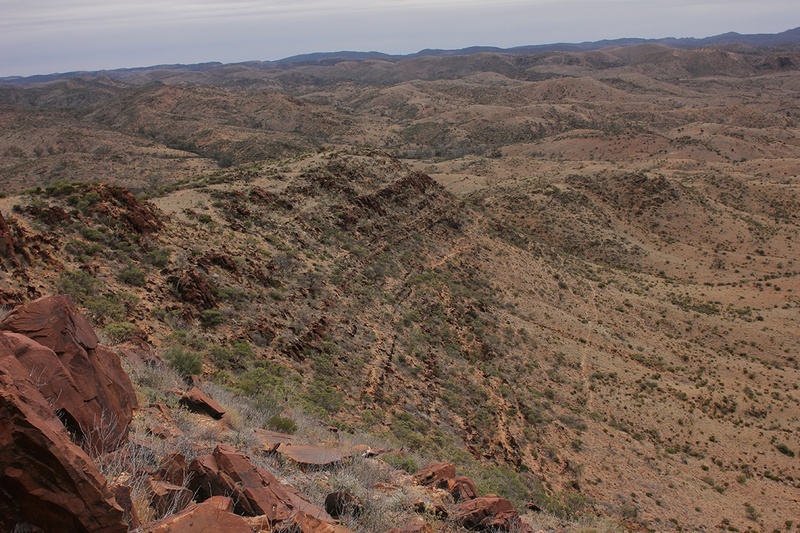 The rocks analyzed in this study, those deposited following the Marinoan glaciation, are found in only a handful of locations around the planet, including the formation in South Australia. Media contact: Leslie Lee, College of Geosciences, (979) 845-0910, leslielee@tamu.edu.